Author’s Note: The content of this post has been on our minds and in the works since we completed our project with Doctors Without Borders / Médecins Sans Frontières in mid 2016. In light of recent events, we find ourselves more deeply committed to continually evaluating our work, our impact, and ourselves in an effort to contribute positively toward our best possible future. Sadly, our work with DWB/MSF and the refugee crisis seems increasingly more timely and urgent than ever. We would encourage our readers to help support the independent and impartial work of MSF/DWB. As a visual designer, empathy is one of the most effective tools we can use to change peoples’ perspectives, shape opinions, and shift behaviors. 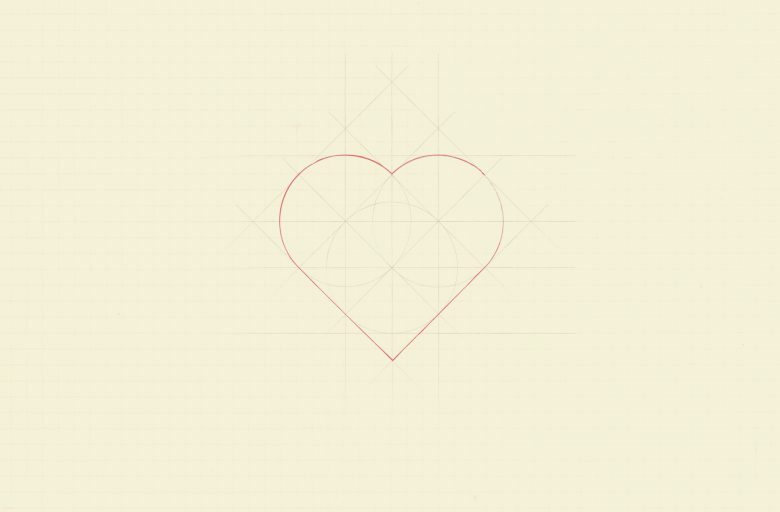 At A Hundred Years, as both designers and consultants, we use empathy on two levels: We empathize to understand the needs of the people our organization is serving and, in order to help drive purpose to their core, we empathize to understand the needs of the organizations themselves. We have to continually ask ourselves what impact will our work create in the world and who will it impact? What narrative or objective is our work serving? And how will history look back on the work we make? To answer these questions honestly, a designer must first understand the content and context surrounding their designs. In the first chapter of his book 79 Short Essays on Design, Michael Bierut concludes that “The great thing about graphic design is that it is almost always about something else.” If we take that quote at face value, a designer’s role is to not only excel at design but to be great at understanding “something else,” too. Designing with empathy means separating your own aesthetic and cultural perspectives from the work to immerse yourself in the experience and culture of the subject at hand. Our recent collaboration with Doctors Without Borders is a perfect example of how we design with empathy. 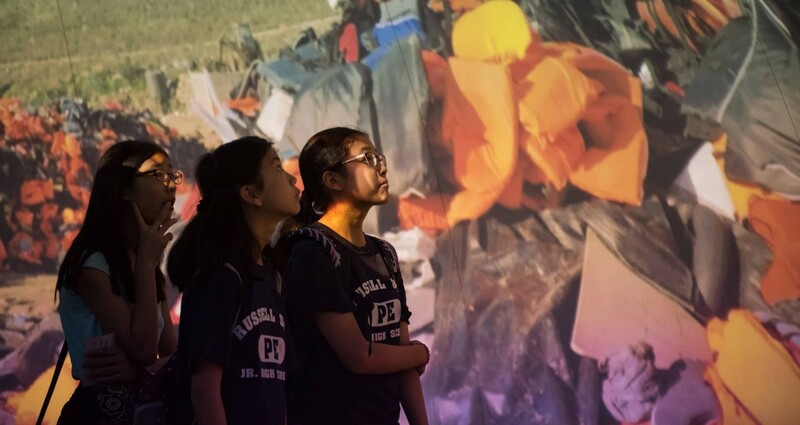 A Hundred Years was tasked with raising awareness around the refugee crisis through their traveling exhibition entitled “Forced From Home.” The exhibit enables visitors to imagine life as a refugee through physical artifacts and tools like virtual reality and 360 videos. Through interviews and collaboration with staffers who frequently work in the field, we were able to develop a sense of empathy for refugees that shaped our design direction. Our mandate quickly became clear: humanizing the 15 million refugees and 26 million Internally Displaced People (IDP’s) around the globe. We chose to do this by highlighting moments of strength and resilience in the field to reposition the refugee from an object of pity to a source of strength and courage. Being forced from home is not a passive experience. Refugees and IDPs bravely abandon the securities of home, from shelter, community and food to safe drinking water, access to medical care, and emotional and mental stability. They are not running from things like conflict, natural disasters, or human rights issues, but running towards all of the opportunity and security that we all seek. In other words, refugees and IDPs have needs and desires that are no different than ours. Our approach to visualizing the exhibit needed to be nuanced, and respectful of the struggle that we see around the world while empowering visitors to take action. As designers, we are constantly looking for new ways to get deeper and more connected to the subject matter and environment surrounding a project. The closer we can get to engaging in the problem we wish to solve, the better understanding and perspective we can bring into our work. What we make today as designers directly affects the world we see tomorrow. We design for the change we wish to see. Perhaps now more than ever, we all need to be able to empathize to ensure we are creating impact for a more human, accessible, and inclusive future. How do you design for the change you wish to see?